A chook farm leased to Steggles near Ipswich has sold to Sentinel Property Group for more than $22 million. Sentinel Property Group has begun scratching around the agribusiness sector, buying its first agricultural property for $22.8 million just outside Ipswich, in South East Queensland. The acquisition of Purga Breeder Farms, one of the largest poultry breeding facilities in Australia, comes as Brisbane-based Sentinel spreads its wings beyond office buildings and shopping centres. Sentinel, established by real estate investor Warren Ebert, is forecasting a 12% return per year on Purga Breeder Farms. Ebert says the company’s entry into the agribusiness sector continued its ‘first mover’ strategy of identifying and capitalising on new emerging asset classes. “We are not one to have all our eggs in one basket and our strategic acquisition of a major poultry business, and entry into the wider agribusiness sector, follows on from our recent focus on securing prominent assets in locations such as the Gold Coast and North Queensland that are well positioned to benefit from the rebounding tourism sector,” Ebert says. The chicken farm purchased by Sentinel has capacity for 187,000 birds. 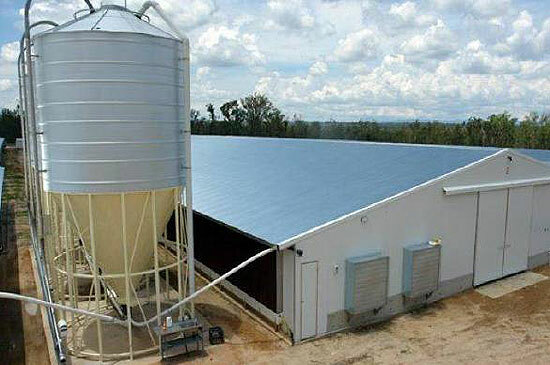 Purga Breeder Farms consists of 17 poultry breeding facilities across three properties covering 63 hectares and includes 35,252sqm under roof and a licenced capacity of 187,000 birds. The modern facility, 9km south of Ipswich, was purpose built for Steggles, which occupies the property on a 20-year lease that commenced on January 1, 2007. Ebert says poultry is the strongest performing segment of Australia’s agribusiness sector with a reported increase in domestic production of more than 75% in the past 10 years. “Only 2% of the world’s chicken meat is currently produced in Australia and we are the only continent that has not had bird flu, so there is enormous future international growth potential for this industry. 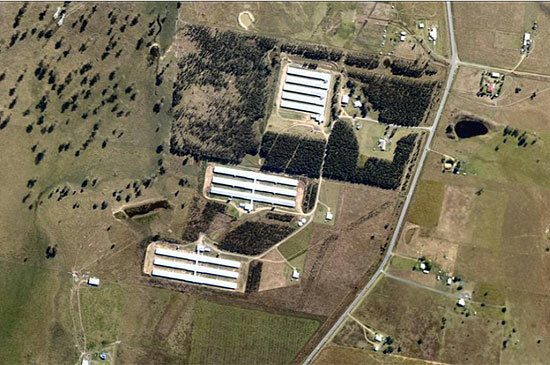 An aerial view of the 63ha farm near Ipswich. Sentinel has previously focused largely on acquiring major retailer-anchored shopping centres, including its purchase of a freestanding Big W in Atherton for $10.35 million late last year. It also acquired a fully-leased industrial facility at Oxley, south-west of Brisbane, for $10.4 million at the start of the year.